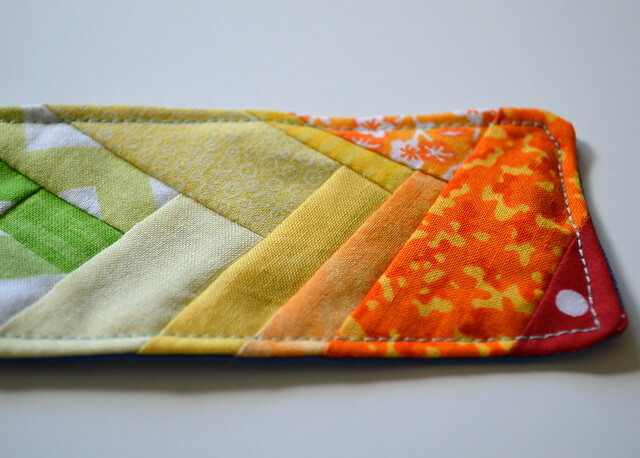 I’m using up fabric scraps by making bookmarks. This is a closeup of a favorite. 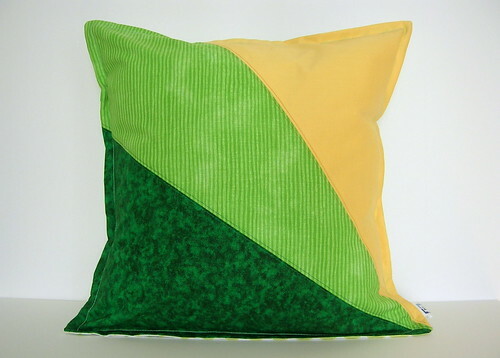 I combined the log cabin quilt block technique with crazy quilting style and graduated colors. I quite like the effect. 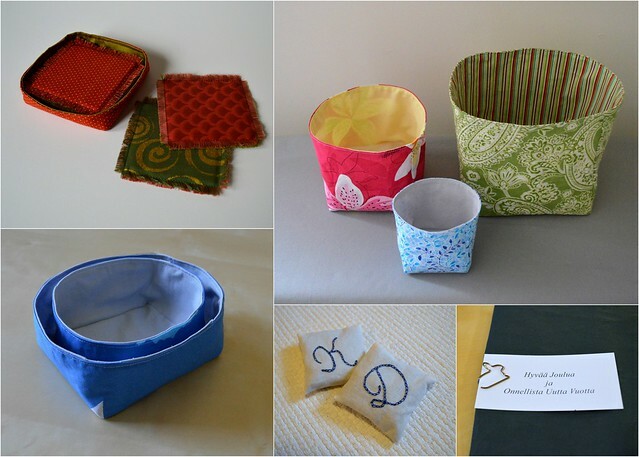 I made this little fabric storage bin as a thank you gift to a customer. 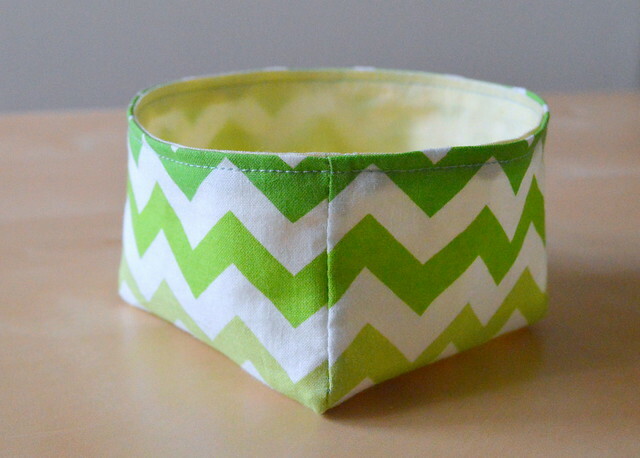 See how the pattern lines up almost perfectly at the seam? I did not painstakingly calculate the circumference of the bin or the repeats of the chevrons, and line up my starting point accordingly; it happened by chance. May your weekend be happy and relaxing! 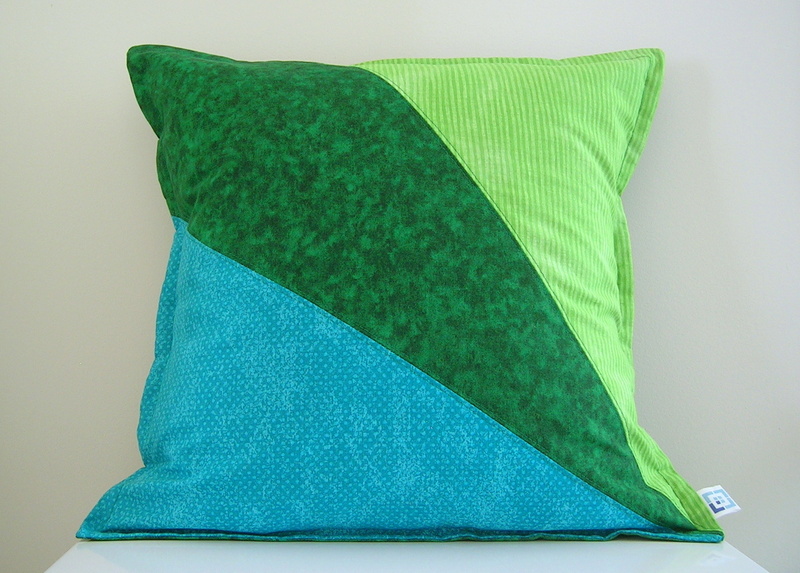 Pillow Cover in Turquoise, Green and Lime Green. Playfullygrownuphome on Etsy. 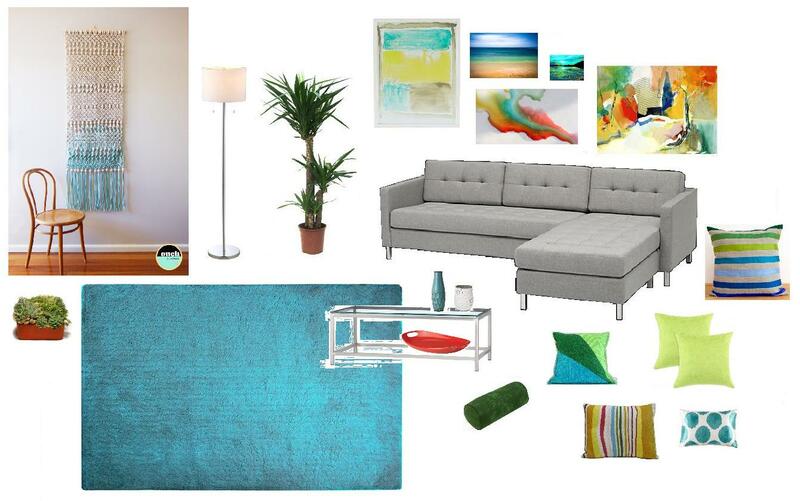 I also envision a wall of tall windows and a warm oak floor. The fresh color palette nods towards the tropics; the coral red and yellow perk up the cool shades. Below is a full source list. 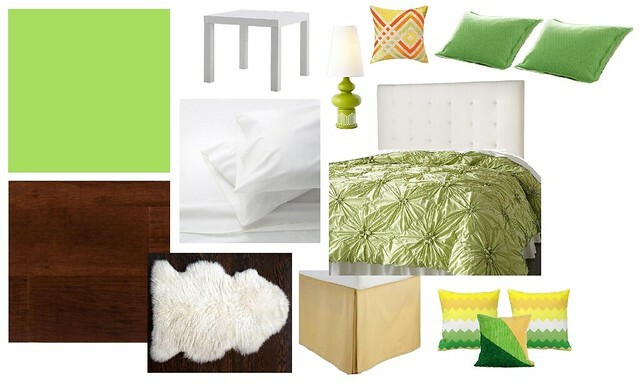 Pillows: DormSmart / Playfully Grownup Home / Overstock / KissenStudio / Kim Parker / Gracious Home.